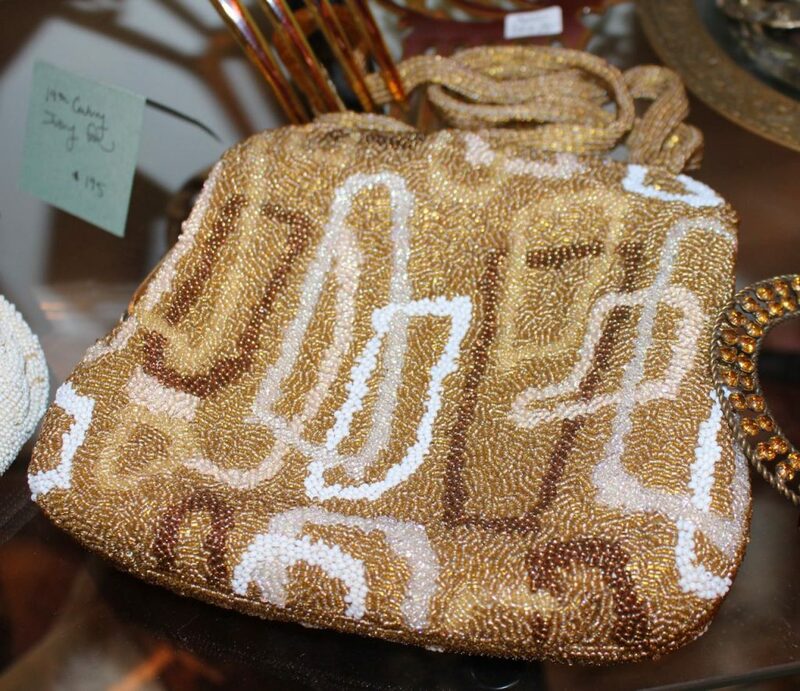 You know your bag is vintage when it is tagged “West Korea!” This is a 1950s designer beaded bag by Wallorg. Gold & silver geometric pattern with beaded straps. Perfect condition.